We will give an overview of black hole physics and holography, and discuss the Sachdev-Ye-Kitaev (SYK) model of disordered fermions as a toy model to address some of the questions related to black hole micro-states, horizons and gravitational collapse. In particular we will present the Choptuik exponent for the SYK model. Spenta R. Wadia is a theoretical physicist at the Tata Institute of Fundamental Research (TIFR). 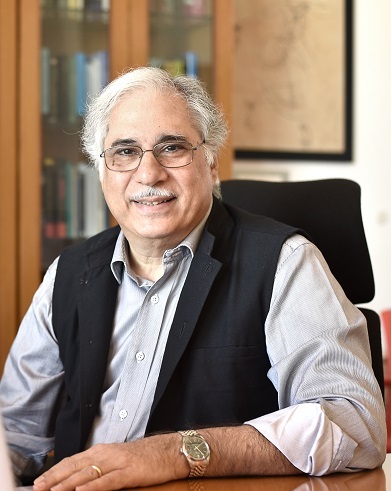 He is the Infosys Homi Bhabha Chair Professor and Founding Director of the International Centre for Theoretical Sciences (ICTS) of TIFR in Bangalore. He is an alumnus of St Xavier’s College Mumbai, IIT-Kanpur, the City University of New York and the University of Chicago. He was a visiting member of the Institute for Advanced Study at Princeton, USA during 1990-1992; Centre European Recherché Nuclear (CERN) in Geneva, Switzerland during 1996-1997 and 2003-2004; KITP Simons Distinguished Visiting Scholar 2018. He has held long-term visiting positions at the Institute for Advanced Study in Princeton and CERN Geneva. He is a recipient of the 2004 Physics Prize of The World Academy of Sciences (TWAS) Trieste Italy, the 1995 Physics Prize of the International Centre for Theoretical Physics (ICTP) and the J. C. Bose Fellowship of the Govt of India. He is an elected member of TWAS, a Fellow of all the Science Academies of India, and a Distinguished Alumnus of St Xavier's College, Mumbai. His main research interests are in elementary particle physics, string theory, and quantum gravity. His other scientific interests are in complex systems including cross-disciplinary biology.